The potential influence of marketing strategies used by drug production companies on the prescribing habits of doctors has been the subject of recent intense debate. Currently, doctors’ groups and the manufacturers themselves espouse professional and industry self-regulation in the marketing of drugs or medical equipment to doctors. The argument is that these voluntary measures, teamed with personal integrity, clinical objectivity and being current with the latest evidence-based therapies are sufficient to guard against any favouritism that company gifts (monetary or otherwise) and sponsorship of professional meetings might engender. The social science of giving and receiving gifts suggests otherwise. A recent article in the Journal of the American Medical Association(2006;295:429-433) contends that giving even small monetary value items such as office stationery items, desktop toys and drug samples subtly increases the likelihood of a doctor prescribing that company’s drugs. Positive prescribing habits are more pronounced with drug company gifts and sponsorships of a greater value, such as subsidies for medical education including medical conference funding, funds for travel to conferences, speaker bureau fees, ghost writing of drug-related research articles, consultancies and research projects. An article in the New York Times in June found doctors more likely to use biomedical devices manufactured by companies that have a direct or indirect tie to the clinician. In this climate, a panel of prominent American clinicians recently published stringent, comprehensive and externally regulated guidelines in the Journal of the American Medical Association, aiming to reduce conflicts of interest between specialist physicians in academic medical centres (the equivalent of our teaching hospitals and medical research institutions), and pharmaceutical companies. Company rewards and gifts are considered effective in improving the likelihood of a doctor prescribing certain better-marketed drugs. A report in the Boston Globe in 2004 said nearly $US19 billion was spent on drug company marketing to American physicians. This vast outlay is outweighed by improvements in drug prescription volume, often for chronic conditions and lifelong treatment. A recent worrying trend is that of drug companies employing overt direct-to-consumer advertising, most notably marketing drugs used to treat erectile dysfunction. Undue pressures on doctors to prescribe anti-impotence drugs may be exerted by men with erectile dysfunction, regardless of cause or whether the medication is necessary. Furthermore, critics of drug companies argue that the trend towards “medicalising” what previously were considered lifestyle or brief adjustment problems (obesity or mild depression, for instance) leads to the creation of new territorial markets for drug companies. Australia-wide expenditure on non-hospital prescriptions in the year ending June 30, 2005, was $5 billion. The Pharmaceutical Benefits Scheme has grown a phenomenal 8-12 per cent per year between 1993 and 2004. Most of these scripts are dispensed by GPs who are exposed to surgery visits and other gifts dispensed by drug company representatives. The influence of drug companies on the prescribing habits of GPs may be mitigated by non-drug- company-sponsored educational activities, such as that overseen by the National Prescribing Service and the Pharmacy Guild of Australia. Patients benefit by being prescribed older medications that remain effective rather than being changed to, or started on, newer ones that are not necessarily better. By restricting availability of the latest (and often more expensive) drugs to specialists or to patients with approved illnesses, the PBS reduces inappropriate prescribing and limits pharmaceutical costs. Government spending on the latest or more expensive drugs is curtailed without decline in patient benefit. Drug marketing is designed to boost drug sales, improve returns for shareholders and recoup the hundreds of millions of dollars spent in developing a new, effective and safe drug. 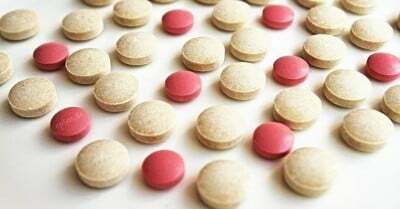 High-volume sales of relatively costly drugs in developed countries partly funds the development and sales of drugs used to treat diseases prevalent in developing countries (such as malaria and tuberculosis), as well as orphan drugs (those used for treating rare diseases). Company earnings from these drugs are expected to be meagre relative to the cost of developing and distributing drugs to the poor. This is offset to some extent by marketing-driven improved sales of better-earning, higher-volume drugs. Drug companies have recently allowed licensed producers in South Africa and India to make expensive HIV drugs still patented to these companies at a fraction of their cost in the West. They have also sold these expensive drugs at reduced cost to poorer countries. Rational prescribing by health care workers may be enhanced either by applying stringent regulation, such as barring any academic doctor from involvement in drug company-sponsored trials or accepting research funding from drug companies, or a more congenial approach of disseminating evidence based guidelines, such as that seen with GPs. Drug companies have been accused of unduly attempting to influence doctors’ prescribing habits. Doctors are seen to be susceptible to drug company marketing influence. There are several ways of minimising adverse effects of this company-doctor interaction on patients, including improved independent external regulation of the relationship between drug companies and doctors. Better educating doctors regarding effective evidence-based drug therapies and personal susceptibility to company marketing strategies could also be of benefit. Solely blaming drug companies for unsustainable and spiralling drug costs ignores the role doctors play in this unhealthy dynamic. Being stridently anti-drug-company benefits no one, sick or otherwise. If drug production was not profitable or became non-viable, no one would be making our current catalogue of therapeutic drugs or developing new ones, such as the cervical cancer vaccine, vaccines for HIV and avian influenza. The influence of remuneration and gifting cannot be curtailed by by drug and medical equipment companies espousing self-regulation in the marketing of their products to doctors. In Australia, the move towards greater donor and recipient transparency has led to Medicines Australia’s legally supported policy to name individual doctors and their remuneration arrangements. This could be the best deterrent against doctors and drug companies perpetuating an unhealthy dynamic. As some on the most recent list are known to me, I’d imagine the threat of a very public loss of professional reputation among peers is likely to discourage a physician accepting drug and medical device company generosity. Dr Joseph Ting is an emergency, prehospital and aeromedical physician as well as adjunct associate professor for clinical research methods and prehospital care at Queensland University of Technology’s School of Public Health and Social Work and Clinical Senior Lecturer in the Division of Anaesthesiology and Critical Care UQ. He is the coauthor of several publications on ambulance use and is a member of the Emergency Health Services Qld Group.